The apartment was perfect for my purpose. It was very close to the location of the event I had to attend. And it is in walking distance from the city center. The neighborhood is nice and safe. Location was excellent . Spotlessly clean great communication from Chris all the way through great car park loads of essentials left in cupboards . 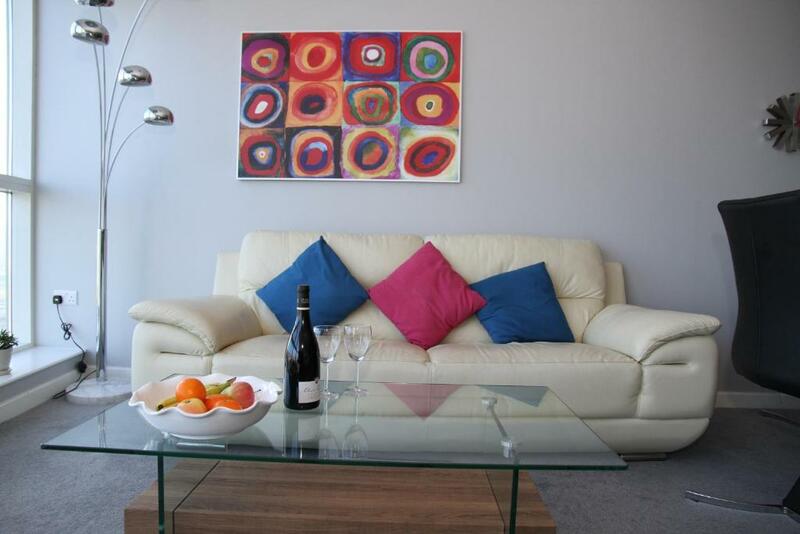 Fantastic view, great location, very comfortable and well equipped. Host was lovely, nothing was any trouble. Apartment was lovely. View is amazing. Very comfortable. Central location. Location, Quality of furniture and furnishings. We liked the attentiveness of the owners and the meet and greet service. Fantastic views from the apartment. Beds, bedding and towels very comfortable. Apartment is also a good size. Chris was great at keeping in touch and happy to answer questions and queries. A home from home. Chris met us at the apartment and we were delighted with the location and facilities. Whole experience was faultless. View was spectacular and the apartment was spotless. 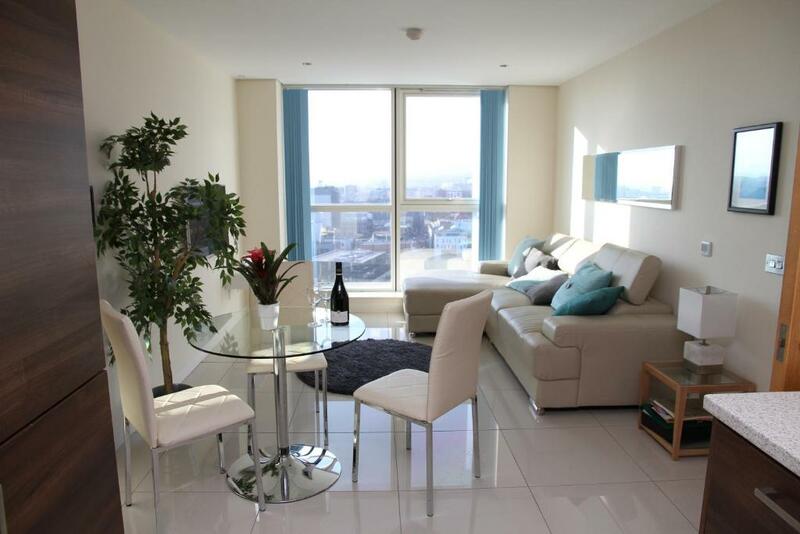 Lock in a great price for City Centre Apartments – rated 9.8 by recent guests! One of our best sellers in Belfast! 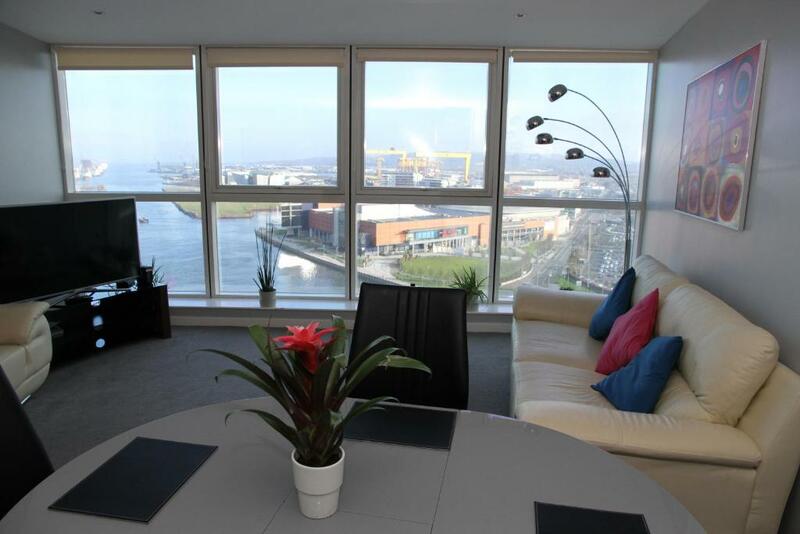 Located within a 10-minute walk of The Waterfront Hall in Belfast, City Centre Apartments provides accommodations with seating area and flat-screen TV. Free WiFi is featured. 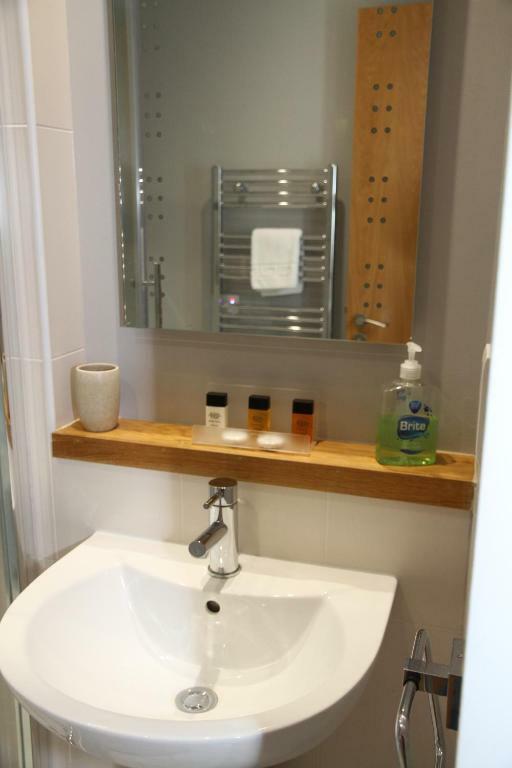 A living room, a kitchen with a dishwasher, and a private bathroom with bath are provided. An oven and microwave are also offered, as well as an electric tea pot. SSE Arena is 0.6 miles from the apartment, while The Belfast Empire Music Hall is 1.4 miles away. 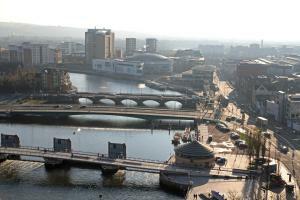 The nearest airport is George Best Belfast City Airport, 2.7 miles from City Centre Apartments. You will love the Sea and City views which you can appreciate from the comfort of your apartment of choice. The pictures you see are taken from the actual apartments you will be staying in. 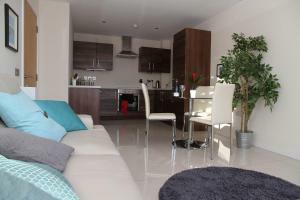 I think you will enjoy the quality of the furnishings, well equipped kitchens and fantastic location. 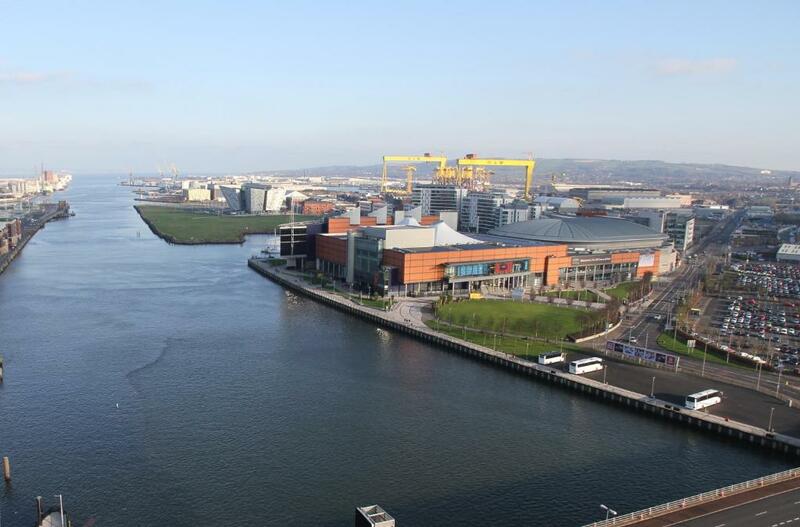 Situated minutes away from the Waterfront Hall, SSE Arena, St. Georges Market and the Cathedral Quarter in one of the most trendy areas of Belfast. Park the car for Free and walk out of the door and be in a great bar or restaurant within 5 mins. All the sights are within easy reach. Only 5-10 mins by taxi from Belfast City Airport. Please inform City Centre Apartments of your expected arrival time in advance. You can use the Special Requests box when booking, or contact the property directly using the contact details in your confirmation. I cannot complain about anything. There was a misunderstanding with the cleaner at the beginning but the host fixed it immediately. The only thing that wasn’t to our liking was the memory foam mattress as it was very soft but that is just down to personal preference as we prefer quite a firm bed but didn’t affect our stay one bit. Our stay was perfect. We were made to feel very welcome and Chris went out of his way to help us. The apartment was fully equipped and very clean. 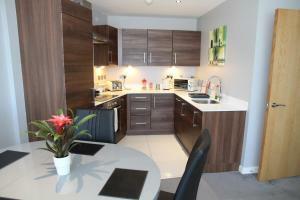 Close to shops, pubs and tourist attractions. We really enjoyed our stay. 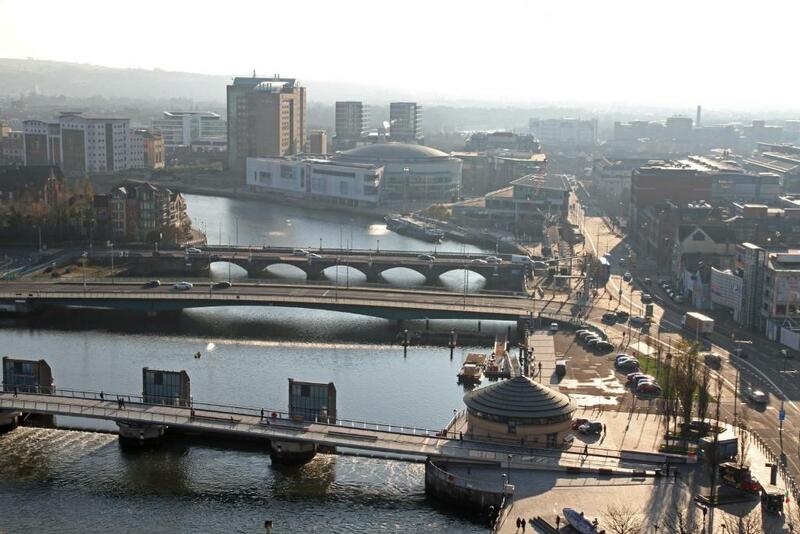 Lovely apartment with great location for city and Belfast attractions. Our host Chris was efficient and very helpful. We loved staying here. Great parking too. Central Location, 5 minute walk from Victoria Square/Cathedral Quarter. Parking facilities were fantastic. Check in was a challenge. Having to coordinate with someone for key pick up was difficult when we’re traveling internationally without mobile service. We had to stop at a restaurant and connect to the free WiFi to contact the owner. It would have been so much easier to pick up from a desk. Additionally, not being to change or adjust the temperature in the flat was annoying. We melted at night. Found out as we were leaving we had to message the owner to change it and that was super frustrating. Construction started at 7:30am on the first morning and just after 8am on our second morning. We’ve had a really difficult time adjusting to the time difference so this was infuriating.